Squadron Meeting, 31 JAN 2013 - Deja Vu all over again! "..so, where the hell are we anyway?" (2) Gridding of LA sectionals. All present are requested to come equipped, including those that may not be currently pursuing an air crew rating. As resources allow, the after action review of last week’s mission planning exercise may continue. UPDATE: A belated congratulations to our DO, former 1LT Bodo Rau on his promotion to Captain. Bodo worked hard for these bars and we thank him for his dedication and effort on behalf of the unit. GROUP 7 Winter SAREX Status RE-SCHEDULED! Group 7 will be holding a Winter SAREX on the alternate weekend of 2 - 3 February 2013 at Fullerton Airport in conjunction with Squadron 40 and Squadron 68. This is a reminder to re-register for this SAREX as your plans for the upcoming weekend may have changed. At this time this SAREX is only open for Group 7 members. Please respond with your current ES ratings, if you want to work base and in what capacity, and your training needs. (Complete a SQTR, currency, or proficiency). Each participant will be required to be self sustaining.We may collect money to do a food run for lunch. (Cash only.) Coffee and Donuts will be provided on Saturday morning. The agenda for the 24 JAN squadron meeting is provided below, and will take place regardless of the weather (if the termites conga line breaks, we will replan accordingly). Go bag with items for planned ground position (all) and for use on mission – aircrew. Bring what you have on hand, share notes and revise as you see fit. 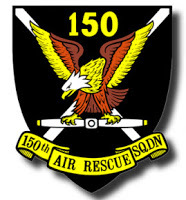 We close in on or objective: networked computer internet access for Squadron 150. Thanks to the leadership of 2LT Lance Boland and the assistance of 1LT Kevin "The X. O." King, CAPT John "Encyclopedia" Frerichs, Brevet-CAPT Bodo Rau, CAPT John "Hoser" Kokonas, the comm room and the workstations are wired for sound! The . O. and 2LT Lance "The Corporal" Boland in an active frenzy. Lance and The X. O. in still more active frenzies. CAPT Frerichs examines the results of all this active frenzy-ing.. I'm in Operatons ! You actually expect moi to sting this CAT-5? As the sun sank slowly in the West, our heroes repaired to the ready room smug in the knowledge that only a handful of RJ-45 Keystone jacks, a cradle-point, and some minor sweat stood between them and internet access to the squadrons four work stations. Group 7 will be holding a Winter SAREX on the weekend of 26 - 27 January 2013 at Fullerton Airport in conjunction with Squadron 40 and Squadron 68. If weather condition will not permit a safe training operation the alternate date for this SAREX will be the weekend of 2 - 3 February 2013. Please note that this SAREX is still pending Wing approval. The registration deadline for this event is 18 January 2013. Please respond with your current ES ratings, if you want to work base and in what capacity, and your training needs. (complete a SQTR, currency, or proficiency). Each participant will be required to be self sustaining.We may collect money on-site for sandwiches or pizza. ..all that aside, the meeting this Thursday will be a potpurri of several things, centering around a discussion of our preparedness for the SAREX tentatively scheduled for 26-27 JAN 2013. It is, of course, a make-up for the SAREX cancelled in December. Our Operations Officer will provide an overview. 2LT Lance Boland -- an NRA-certified instructor and Marine DM -- will present a short talk on gun safety. Additionally, 1LT Rau will give a talk on "brain rules" -- incorporating both safety and aerospace education. Upcoming meetings in January and February (and March) will center around the theme of "ES Preparedness" -- something we all should be pointing towards. 1LT Rau makes a fair point: too often we focus on preparing for a specific calendar event -- like a SAREX or a class, etc. when we should be focusing on honing our skills and making sure that we can meet the call when it comes out of the blue. To follow up on that thought, the Civil Air Patrol is the United States Air Force Auxiliary and we are endowed by our parent service with a serious role to act in their stead for CONUS search-and-rescue efforts. They and the governing corporation that is CAP have, by way of their precious funding, given us literally millions of dollars of the latest equipment and made available countless opportunities to train and perfect these skills. The payback to them should be a cadre of volunteers who are ready, willing and able to complete our mission. We have come a long way as a unit in 2012 and we will continue to train and develop our skills so that more and more of us play a role in the mission of California Wing.